Jake Ilardi (USA) during the 2018 Red Bull Roller Coaster Finals at Munich Mash, at Munich Olympic Park, Munich, Germany, on June 23. Ryan Decenzo (CAN) performs an ollie just before sunset near Moab, at Escalante Petrified Forest State Park, Utah, USA, on November 8, 2018. Returning to U.S. Bank Stadium for the third year, X Games Minneapolis will host the world’s top action sports athletes August 1 – 4. The first wave of invited athletes for the 2019 event is now available on XGames.com. With world-class action sports athletes from all over the globe, this first wave of invites is highlighted by defending X Games Sydney gold medalists Elliot Sloan and Ryan Williams and Minnesota native Alec Majerus. X Games Norway gold medalists Leticia Bufoni and Pamela Rosa also joined the invited list. Leticia Bufoni (BRA) competing in SoFi Women’s Skateboard Street during X Games Minneapolis 2018, at U.S. Bank Stadium, Minneapolis, July 21. 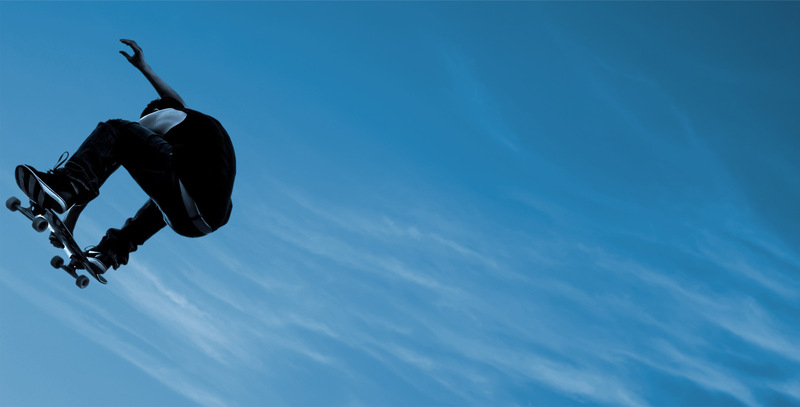 The most elite Skateboard and BMX athletes in the world will return to Rhodes Skate Park in Boise, Idaho June 28 – 29 to compete for a chance to punch their ticket to compete in the Park competitions at X Games Minneapolis 2019. With 21 athletes invited to compete in each of the disciplines of Men’s and Women’s Skateboard and BMX Park, the top six finishers will punch their ticket to Minneapolis. Heimana Reynolds (USA) is on the invite list for the Road To X Games Boise Park Qualifier 2019. The UK Mini Ramp Championships will be taking place at Wheels and Fins Festival for the third year running, but for the first time it will be endorsed by Skateboard England. Also new for 2019 is festival’s introduction of a thrilling ‘Vert Ramp’ competition, with members of Team GB skate team being invited to compete at the two-day event. Alex Hallford (GBR) at Wheels And Fins Festival, Joss Bay Beach, Broadstairs, Kent, United Kingdom. X Games Minneapolis revealed today the sports disciplines and athletes automatically invited for its 2019 event on XGames.com. Medalists from X Games Minneapolis 2018 who have sport disciplines returning in 2019 will receive an early invite to compete in the X Games Minneapolis 2019 event. The world’s premier action sports competition returns for its third year in the Twin Cities August 1-4 at U.S. Bank Stadium in downtown Minneapolis. Kelvin Hoefler competing in Monster Energy Men's Skateboard Street during X Games Minneapolis 2018. Returning to Rhodes Skate Park in Boise, Idaho for the third consecutive year, the Road to X Games Boise Qualifier will bring the world’s best Skateboard and BMX Park competition June 28 and 29. Last year, more than 12,000 fans attended the two-day event. In addition to Park competitions, the event will again feature an interactive fan village with food, sponsor booths and music. Sabre Norris, winner of the Women’s Skate Park Final at 2018 Road to X Games, Boise, Idaho, USA, June 2018. Skateboarding and Freeski to join Snowboarding on the Rookie Tour!! 25 Sep 2018FISE World Series - The final battle - Are you ready? The final stop of the year for the FISE World Series is fast approaching, and here's the teaser! Action from the 2017 FISE World Series Chengdu, China. 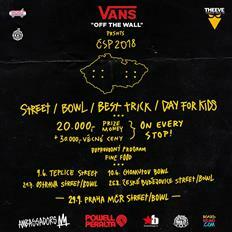 27 Aug 2018The Czech skateboard cup has premiered in České Budějovice! Skatepark Four Courts in České Budějovice has hosted the Czech Skateboard Cup series for the first time. The event was organized by the Czech Skateboarding Association, in cooperation with local organisation Association Sfera, and the event supported the city of České Budějovice. Local store Temple was added as a partner to this stage of the series, joining Vans, Theeve trucks, Powell Peralta and Ambassadors. This meant the total prize fund for the South Bohemian contest was increased to 25,000. The top 5 from the Street Contest placed as follows: Martin Pek, Štěpán Bareš, Honza Navrátil, Honza Malý and David Luu. 9 Aug 2018Skateboarding elite to clash in České Budějovice for the first time ever. The Czech Skate Cup is going to have its first visit to the skatepark of České Budějovice later this month. The best skateboarders will compete in the third stop of the series, both in bowl and concrete skatepark, on Saturday August 25th. 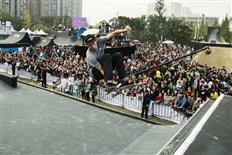 Huston Claims Eighth Gold in Monster Energy Men’s Skateboard Street, Zeuner Repeats Gold in Women’s Skateboard Park. Wilkins Wins Gold in Pacifico Skateboard Vert. This year's Czech Skate Cup began in Teplice skatepark, where sixty riders joined to compete in the Czech Skate Cup Street Contest and Day for Kids. The Czech Skate Cup series is going ahead again this year, with some changes to the stops for this season. Almost all the skateparks are having a premiere except Ostrava, which is back in the series after a long pause. The top skaters of Czechia are going to meet at three stops between June and August with the pinnacle of the series being the Czech Championship, which will follow tradition and take place at Štvanice on September 29th. Leticia Bufoni Wins First Gold Since 2013. Kelvin Hoefler Wins Back-to-Back Men’s Skateboard Street Gold. If you missed it, here's the full show broadcast by 'World of X Games' on ABC! The 24th annual Tampa Pro brought forth new blood to the contest, shining a light on a new wave of pros mixed with familiar faces. 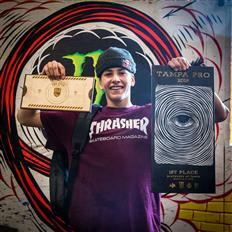 Top 3 riders at Tampa Pro 2018: Jagger Eaton (1st, middle), Felipe Gustavo (2nd, right) & Ryan Decenzo (3rd, left), at Skatepark of Tampa, Florida, USA, March 2018. One by one, the Element Make It Count finalists arrived on the Gold Coast; a perfect winter’s day, sun and blue sky. The Element Australia and New Zealand skate teams lead by Team Manager’s Leigh Bolton and Scott Lai had a crew of over 15 skaters who welcomed Rowan Davis (Newcastle), Adam Davies (Melbourne), Keanu Peina (Perth), Cody Riley (Sydney) and Matthieu Lucas (Christchurch) into the Element family. Keanu Peina wins the Australian and New Zealand ticket for Make It Count 2017, at Precinct Skate Shop, Gold Coast, Queensland, Australia. 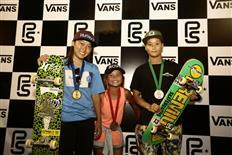 Kihana Ogawa (left) wins the Women’s division at Vans Park Series Asia Continental Championships 2017, followed by Sky Brown (middle) and Sakura Yosozumi (right), at East coast park Skatepark, Singapore city, Singapore, August 19. On August 13, SLS rolled into Chicago for the first US stop of the 2017 SLS Nike SB World Tour. It was also the final chance for SLS pros to clinch the four remaining spots to skate in the 2017 SLS Nike SB Super Crown World Championship, with Nyjah Huston, Louie Lopez, Shane O’Neill, and Kelvin Hoefler already holding down four of the eight spots. With stakes this high, we knew we were in for a heavy contest! Dashawn Jordan and his winning performance at 2017 SLS Nike SB World Tour stop in Chicago, at UIC Pavilion, Chicago, USA, August 13.